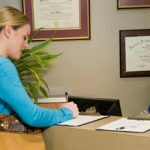 When you create the right office environment for your patients, you automatically begin a chain reaction – one which will help your practice grow and prosper. Today, the emphasis in construction design is to create reception areas and offices that provide a feeling of healing and relaxation. Gone are the days when doctor or dental offices conveyed a clinical or sterile environment. 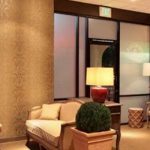 When your office surroundings are warm and inviting, you will create the type of buzz that will naturally draw more people to visit your practice. 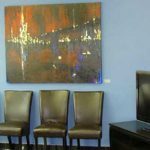 In fact, the décor of your office represents your brand – one that you will create and develop over time. If you are seeking to improve your brand then, make sure that you provide your patients with the best experience possible. When the décor meets with each of your patient’s expectations, it will help you create a level of trust that will naturally cause others to seek out your services. In order to make yourself known, as well, you should embrace social media. Physician-created content online will naturally serve as a magnet to attract new patients. If a patient is seeking specific health-related info and can easily access your site, or your practice on Facebook, then you have already developed the type of connection that increases a customer base. Introduce patients and potential patients to your website and office online as well. Make full use of pictures, and include the reasons why you chose to go into the dental or medical field. Add your values and practice style to solidify your brand image. Physicians and dental professionals also increase referrals by building a network with their professional peers. By taking this approach, you can share in the referral process and consult with each other if you have specific inquiries that need to be answered. Also, by building this type of network, you will notably expand your resources for gaining extra referrals. In addition, you want to maintain a community presence. People are drawn to a practice that is involved in the workings of a locale. For example, participating in fundraising events with patients is an ideal way to demonstrate how much you care and your devotion to your town or city. Again, make sure your current patients are well-treated when they visit your practice. That means always being available to the patients with special or urgent needs. Show empathy and understanding while also offering the latest innovations to maintain and improve your patients’ health. Make sure your staff is also keeping track of the referrals that you receive. By taking a count, you can see where you need improvement or what you need to emphasize when developing your client base. Would you like to learn more about our services? Drop us a note.